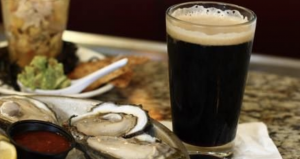 Join Amercian Legion Post 1976 for our 6th Annual Stouts, Sours and Oyster Festival at the Post's Lodge in the beautiful surrounds of Lake McBride. VIP and GA ticket options available. This year we are introducing a traditional bouillabaisse option to the menu. Over 20 Stouts and Sours on tap for your enjoyment. A portion of the proceeds, and any additional donations, benefit our community partners in the Iowa City -Cedar Rapids Corridor. 1 dozen oysters or serving of bouillabaisse (per your order). Day of sales are based on availabilty (excluding oysters). Entry for day of sales is 12:30pm. Club 76 at the Lodge / American Legion 1976 2349 Mehaffey Bridge Rd.